Fountainhead conceptualised and executed a multi-city launch of Blue Star’s packaged air-conditioning division (PAD) - VRF IV Plus. The Chennai launch (June 19) was followed by an event each in Bengaluru (July 3), Kolkata (Aug 14) and Hyderabad (Aug. 21), respectively. Been associated with the brand for almost a decade now, Fountainhead handles Blue Star’s events throughout the year. They ideated the entire event right from the theme to the entertainment, as per the brief assigned by the client, which was to conceptualise an informative and entertaining event to educate the dealers. The event kicked off with an opening AV describing how the Blue Star VRF IV Plus delivers 100% performance. 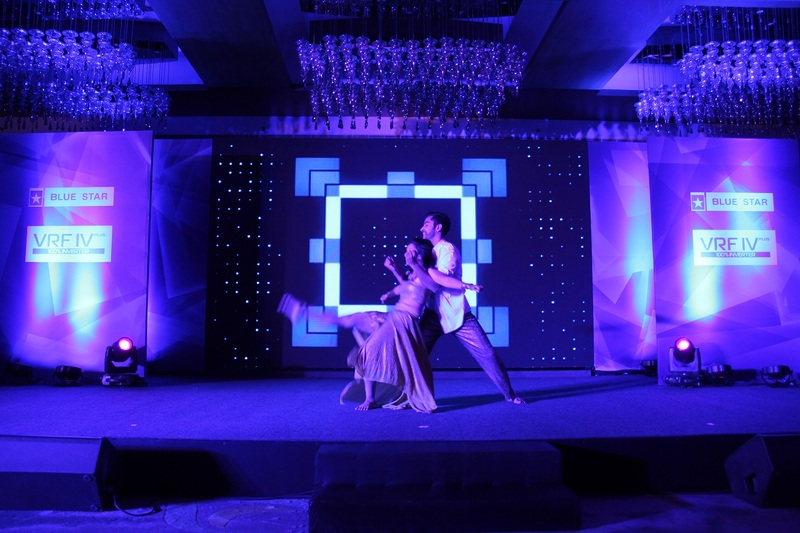 This was followed by a Jazz Ballet performance by a duet, post which Mukundan Menon, Executive Vice President – Airconditioning & Refrigeration Products Sales Group introduced the new product with the help of a flash presentation. As a part of the presentation, Fountainhead facilitated multiple video calls of prospective customers across India raising their concerns and issues with their existing air-conditioning units. This was followed by an AV on what has gone into the research and making of the new air-conditioners, shot by Fountainhead at Blue Star’s Dadra Plant. The pre-function area and the ballroom had standees with quotes of successful personalities to illustrate how they gave their 100% in their respective fields. The main ballroom had a 46 feet wide product display area and another smart controller zone, which helped the customers engage with the products and interactive controllers of the VRF IV Plus. The stage had a large centre screen for the product presentation. 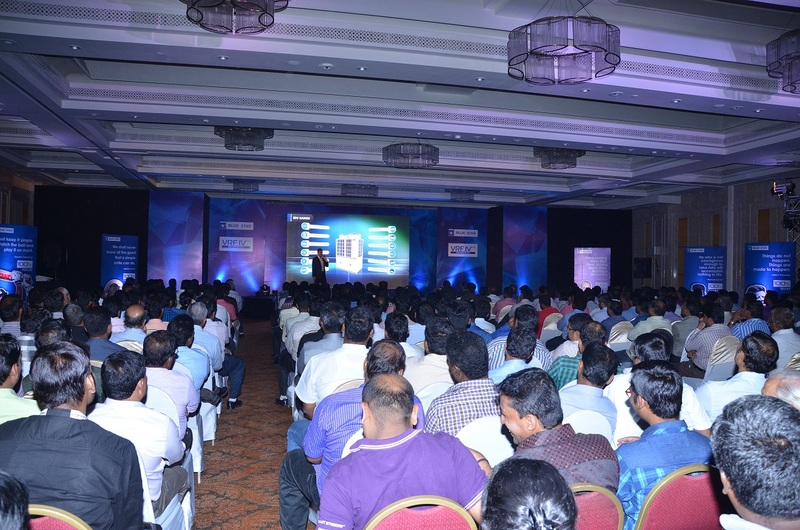 Based on the theme ‘100%’, each launch ceremony was attended by 300 to 450 dealers.